This year’s presents for sis. My sister got some new earrings and other stuff to play with this weekend for her birthday. 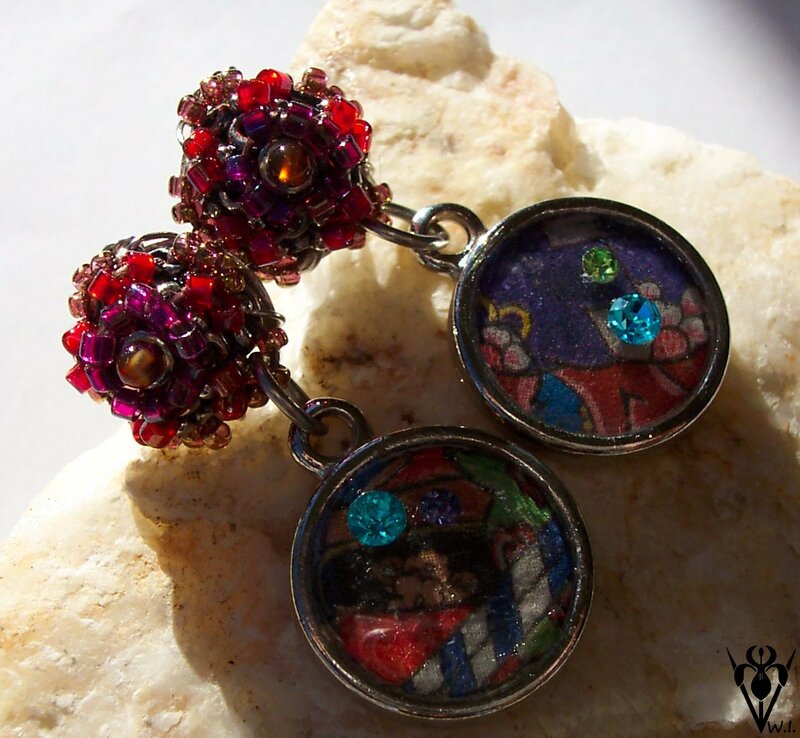 Handmade paper focals sealed and layered with resin, sterling silver, coral, apetite, and fire polished beads. 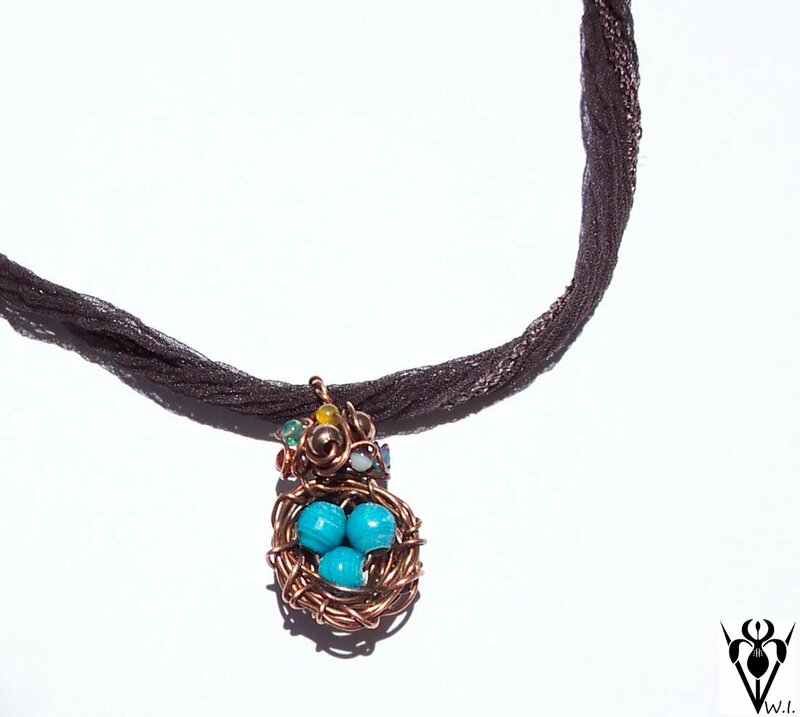 Copper bird’s nest with paper bead eggs, wire wrapped with several tiny gemstones, hangs on silk ribbon. I haven’t had much time to play (make stuff), and I’ve grown weary of Etsy. I think I currently have six items listed on my Etsy shop. I’m looking into other options. 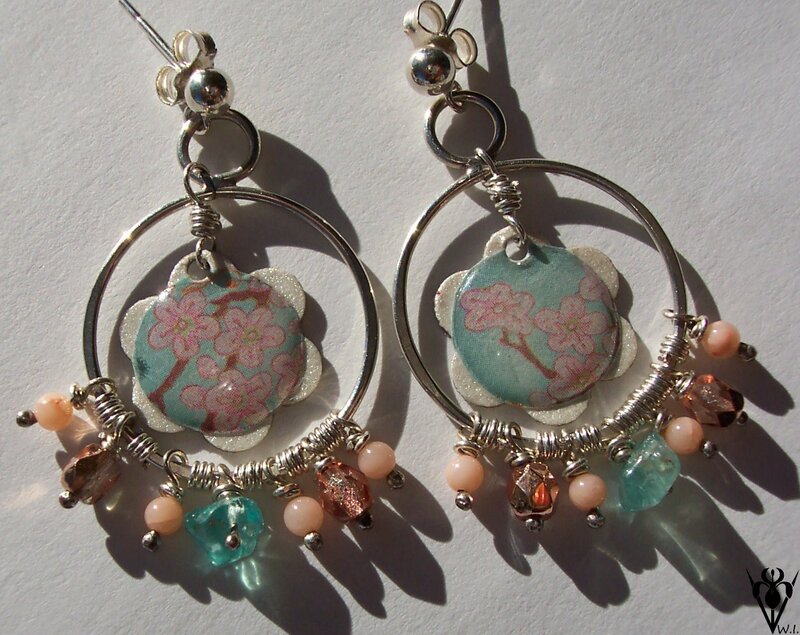 It was a bust for craft fairs this summer. I didn’t have the time or the energy to put my all into selling. It was a bummer, but like I told my mom, “You’ll have to drop a piano on my head to keep me from making jewelry.” Wish I had more exciting stuff to blog about, but I don’t. This entry was posted in Uncategorized by whisperingiris. Bookmark the permalink. The spirit of Christmas and the gift of giving. UFOs . . . and other unfinished objects. Copyright © 2019 Whispering Iris All Rights Reserved.